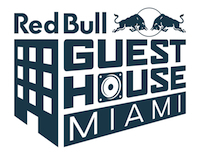 Red Bull Guest House is making its return to Miami this year in its third incarnation, this time taking place at Sagamore, The Art Hotel, March 26-29th, coinciding with Miami Music Week and Ultra Music Festival. This year, Red Bull Guest House hand-selected curators and artists to create seven individual showcases over four days and three nights, returning with its celebrated daytime pool parties and memorable late night breakfast club blowouts, all of which are exclusive to RBGH. Curators include Lil Wayne’s Young Money Entertainment, whose showcase is the only one of its kind during MMW, and the HARD Pool Party, which promises electrifying B2B sets as their only poolside soiree throughout the week. Debuts to Miami Music Week include Guy Gerber’s RUMORS and New York nightlife icons Ladyfag & Seva Granik present: SHADE: MELTDOWN. Making its North American debut is Seth Troxler presents Big Tittie Surprise, and in what will be the first of its kind is the premiere of new eventKygo + Thomas Jack’s Tropical. A special seventh showcase and the full lineup will be revealed at the start of March, while surprise guests from the music and art world will continue to make Red Bull Guest House an experience unlike any other. This year at RBGH, International Music Summit (IMS) will host documentary screenings and moderated Q&A’s while the Traktor Cookery School will return with top DJs cooking up their favorite dishes poolside. Red Bull Music Academy Radio will once again hold down the airwaves with exclusive live interviews, DJ sets and broadcasts throughout the four-day experience. Guests will enjoy hospitality from fashion line Public School NYC and bikinis by Miami’s own I SHINE 365 swimwear, grooming and beauty services by Nail Swag, Blo Miami, and Brooklyn’s Heartbreakers Barbershop, and more.